Continuing the LeBron Watch campaign, next up is the Nike LeBron 15 South Beach as he makes a trip to South Beach to go against the Miami Heat. This Nike LeBron 15 is a clear nod to the original Nike LeBron 8 South Beach that debuted back in 2010, the year LeBron James joined D. Wade, Chris Bosh with the Miami Heat. It comes dressed in the classic Teal, Pink and Black color scheme with White outlining the Swoosh logo atop a translucent outsole. 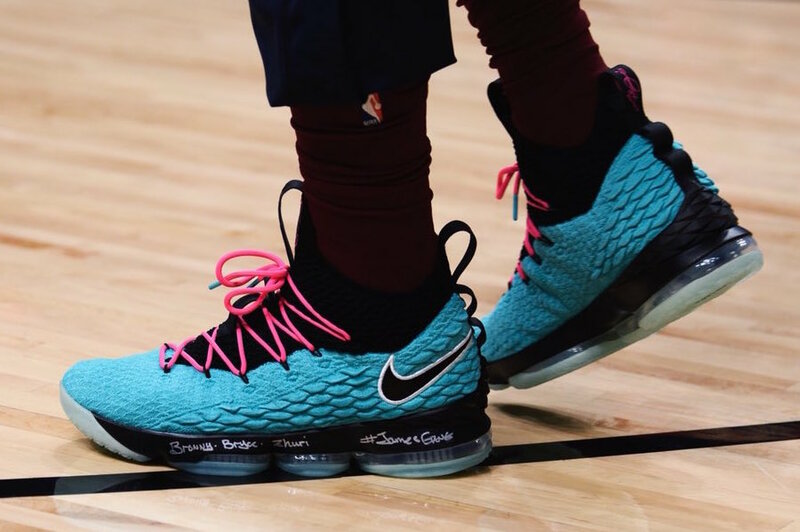 Currently the Nike LeBron 15 “South Beach” ins’t available, so they might end up being an exclusive for LeBron James. Stay tuned for updates.